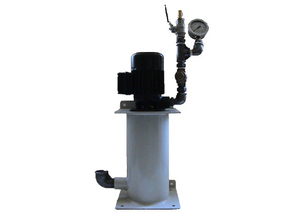 Sump unit (pump back station). Including immersion pump. To be installed at each machine tool sump. Pumps the surface fluid (with the tramp oil) from the machine tool sump toward the central coolant management system.